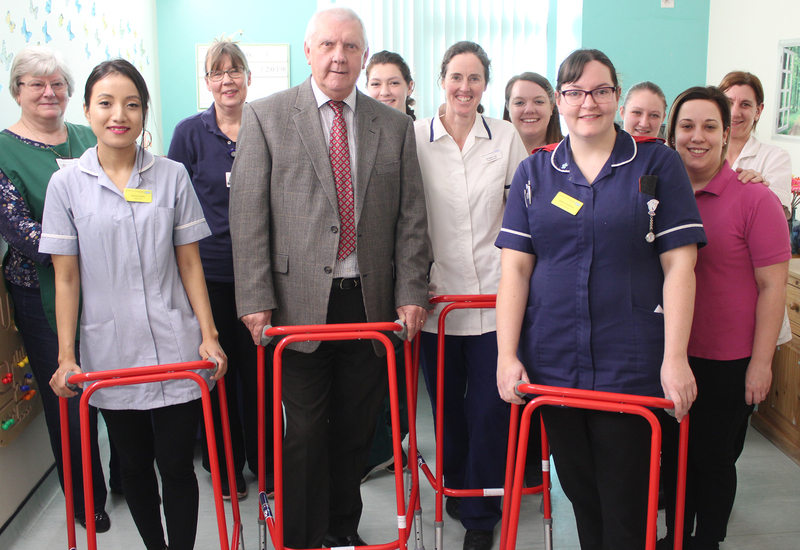 As the Trust takes huge strides to become even more Dementia-friendly, our colleagues at the Mercer Ward have been rolling out special coloured Zimmer frames courtesy of the Maidstone Hospital League of Friends, to help our patients get up and around. After the Mercer Ward took part in an Allied Health Professionals (AHP) project in September it was identified that red coloured frames may assist with Dementia patients, with patients finding it difficult to identify objects that are all a similar colour, such as the standard grey frames. The six frames will also be beneficial for those with sight impairments, helping to reduce the risk of falling, with the Maidstone Hospital League of Friends covering the costs of around £240.